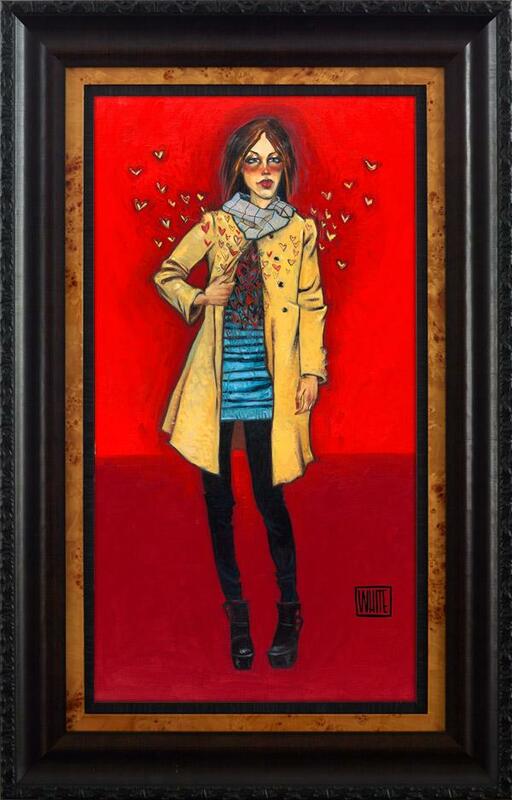 She Gives Her Heart Away - framed by Todd White // £1,150.00. A fashion conscious woman painted on a gorgeous red and burgundy background, demonstrating she is clearly love with the object of her affection - as mini hearts fly off her body. Notice she has one hand holding her coat open, as scores of red and yellow 'butterfly' hearts escape; perhaps with this gesture she is showing the world she is open to all the emotions, painful and pleasurable, of a new relationship - what do you think?